Kodi 2018 Predictions: What to Expect from Kodi in 2018? Early adopters have had plenty of time to play with the latest major version of Kodi. As you probably know, Kodi 17.0 brought numerous improvements in addition to a highly polished interface. On top of that, the community of Kodi developers was never as strong as throughout 2017. Despite recent shakeups and questions about Kodi’s legality, you can still find plenty of usable addons, builds, and custom skins. Since we’re slowly entering 2018, it’s time to take a look at what to expect during the next 12 months. We have done a thorough research on Kodi 2018 predictions. Let’s see what to expect from Kodi in 2018. Kodi 2018 Predictions: What to Expect? The good news is that you don’t have to wait for too long for new updates. Aside from Kodi 18.0, we expect the community of Kodi developers to stay strong. We are entering 2018 with some well-known and highly-capable addons. However, there are fresh contenders that we feel will win you over soon enough. Let’s take a look at expects us during the next year. Kodi 18.0 – Possible release date: mid-February 2018. Aside from a slightly refined UI, Kodi 18.0 will become a 64-bit application. This is its largest new feature, and there are many reasons to be excited about this. Here are our Kodi 2018 predictions regarding new features that will soon arrive to your favorite home theater software. At the moment, this software is in beta. This means that some smaller features can be added in early 2018. This is when we expect to know all about the upcoming Kodi 18. However, it’s not like the next Kodi version is a complete secret. We are bringing you a list of officially confirmed features. Kodi is already a smooth-running application. However, things become more complicated as you start adding more complex addons. As a result, you start seeing very strange errors and addons typically start to misbehave. When it comes to Kodi’s performance, you can expect a big jump forward in 2018. This is because Kodi 18 will be the first version of this software to be deployed as a 64-bit application. Let’s make it clear what this means. In general, 32-bit applications can’t handle more than 4GB of RAM. This is usually more than enough to provide a very fluid performance. However, 64-bit applications can utilize your device’s full RAM capacity. Many of you have computers with 8GB, 16GB, or even a bigger capacity. In 2018, you will be able to push Kodi further – if your computer allows for that. In case you didn’t know, Kodi was an application made exclusively for the original Xbox. First released in 2004, Kodi went through a rapid evolution. It is no longer available for Microsoft’s console, but it’s compatible with a wide range of desktop and mobile platforms. At the moment, there are different ways to run Kodi on Xbox. However, this is mostly based on screen mirroring. One of the biggest Kodi 2018 predictions is that the software will return to its roots. This is because Kodi’s development team has announced that it is working on a UWP (Universal Windows Platform) version. 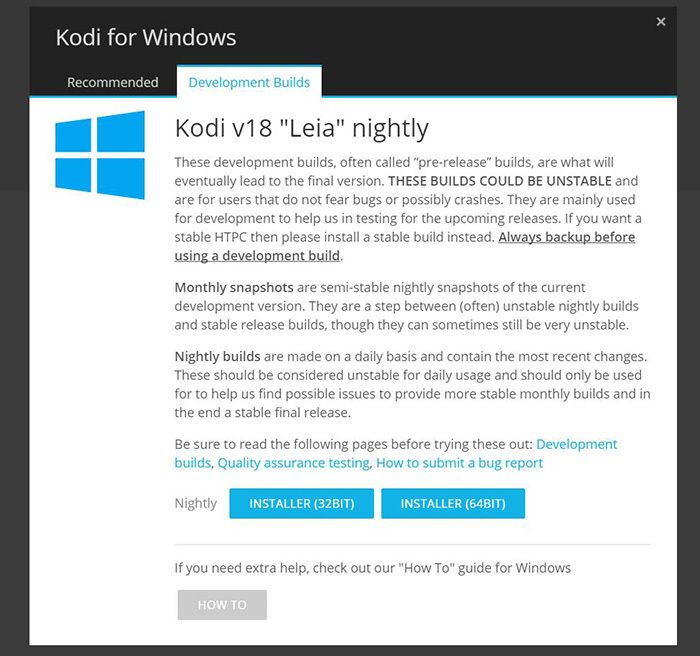 Deployed via Windows Store, Kodi should be available on a wide range of Windows-powered devices. 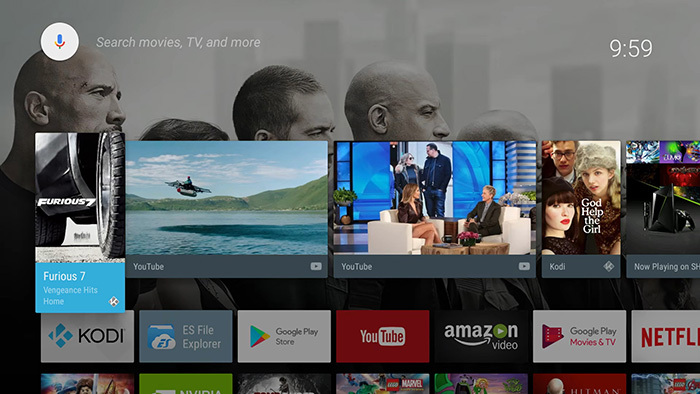 When using Android TV, you get different suggestions as you browse movies, TV shows, music, and applications. For example, when you stop on a movie, you can see if its available on Netflix, Hulu, and other services. Starting with Kodi 18, you will get Kodi as one of the suggestions. 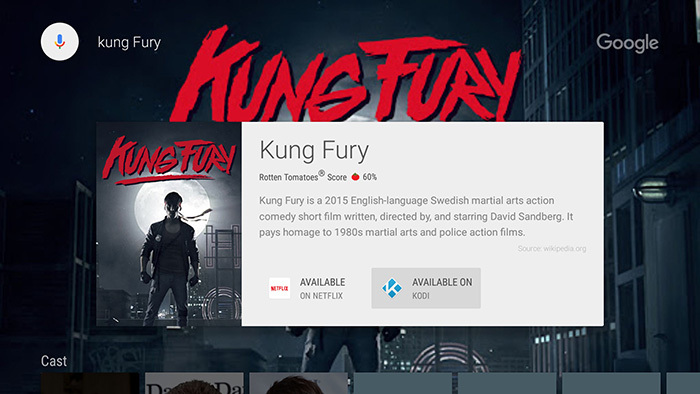 To make this feature work, you will need to create a Kodi library and populate it with your content. Then, you see if a movie or TV show is available in your library. 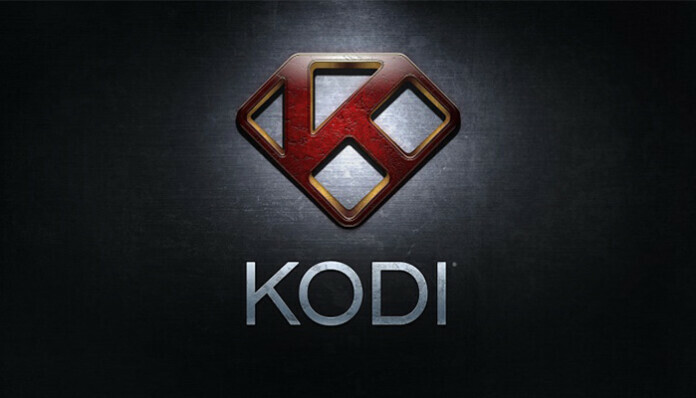 Simply choose ‘Kodi’ and you will be taken directly to a media file. Furthermore, you will get suggestions for unwatched content which could tremendously improve your user experience. We are concluding our Kodi 2018 prediction with one last feature. 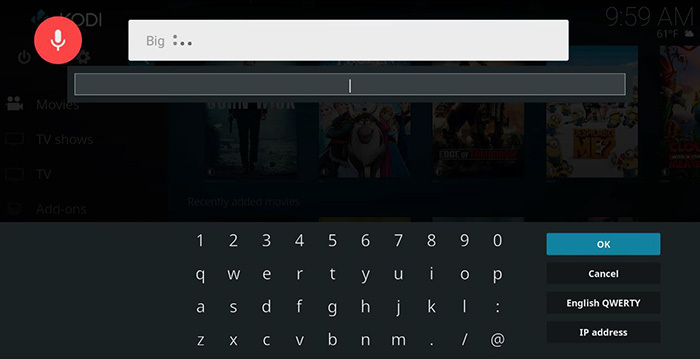 According to Kodi’s developers, they have been working for a while on voice-to-text typing. You probably already know that you can use your keyboard to move around. On top of that, you can set up a Kodi remote on your smartphone. However, voice-to-text is coming as well. This should make it much easier to move around Kodi and get to your content library. According to some reports, it will take some time until this feature is fully unlocked. We can expect a gradual release since voice recognition is a tricky feature. Nonetheless, those of you who use Kodi on Smart TVs will have another powerful navigation tool in your arsenal. Kodi 18 will begin to download. Finalize the installation on your computer and launch the software. Important Note: By installing Kodi 18, you will automatically upgrade your existing Kodi installation. 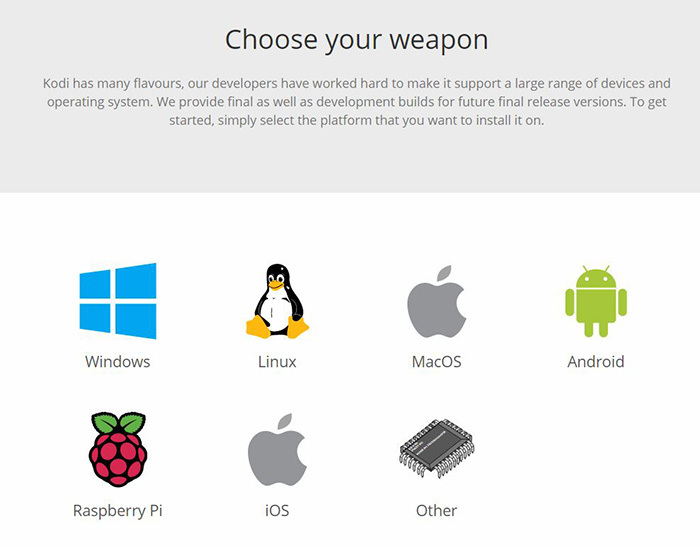 This means that you can’t use different versions of Kodi at the same time, without product some kind of conflict. In case something goes wrong, you can downgrade by installing the latest official version, Kodi 17.6. This is where we conclude our Kodi 2018 predictions. We are sure there’s plenty to look for, and we hope you’re as excited as we are. Kodi 18.0 won’t be just a small update – especially if you upgrade to the 64-bit update. You should feel the improvements the first time you open Kodi. In case there’s anything you’d like to add, feel free to post a comment. We are always on the hunt for tips, so make sure to let us know. In addition, you can help us to spread the word by sharing this article across social networks. Thanks!